In a few weeks’ time we’re going on a holiday with a difference. 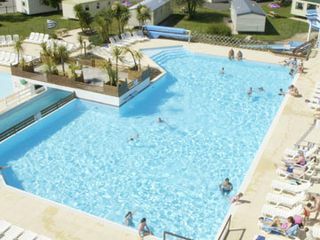 It’s a blogging review trip arranged via Tots100 so that we can try out holidaying in France and the Siblu Holiday Village experience and report back. We’re not hugely well travelled and haven’t been abroad as a family for years. So when it comes to holidaying in France, I haven’t a baldy notion. I’ve checked that our passports are valid and downloaded a French language app but that’s about it. How light can we travel? We drive a Mini, which most of the time is great for nipping around the city. The only time it’s less than ideal is when all four of us plus luggage are jammed in for a long journey. So we need to pack light. What do you think is essential and what would you pick up on site? What do we need for the car? I’ve heard mumblings about stickers for the headlights, a high visibility jacket for the boot, what’s all that gubbins about? I had assumed that summer in France would be sunny rather than soggy but given that I’m sat here shivering in July it doesn’t look like we can assume anything about the weather this year. We’re going to the Domain de Kerlann resort in Pont-Aven, Brittany – what do you think? Is that far enough south to be sunny? (Please lie if you think it’s not). This dilemma is troubling the gentlemen of our party. I’ve established that Speedos are The Law in French swimming pools and that big wafty swimshorts are Not Allowed. But does that apply on holiday parks like the one we’re going to? Do we need to pack some emergency budgie smugglers? The fellers say they won’t wear them, but will they have a choice? How do I get one of those? Do we really need one, if we promise to stay healthy for a week? Or is it sod’s law that when you don’t have one, that’s when you need it? What would you budget for a family of four for a week in France? Is it likely to be more or less expensive than the UK? Can you be vegetarian in France? I mean, is it even allowed? So basically, we’re pretty clueless. Though we do have passports. And tickets. Apart from that, what else do we need?